QuoteSearcher is giving away a Rear Parking Camera! Home Blog QuoteSearcher is giving away a Rear Parking Camera! If you work with a fleet of vehicles then you will know that most accidents happen when drivers are parking or manoeuvring, and while these accidents aren’t usually dire they can still end up costing you money. So QuoteSearcher has decided to give a helping hand by giving away a Rear Parking Camera in our latest competition! 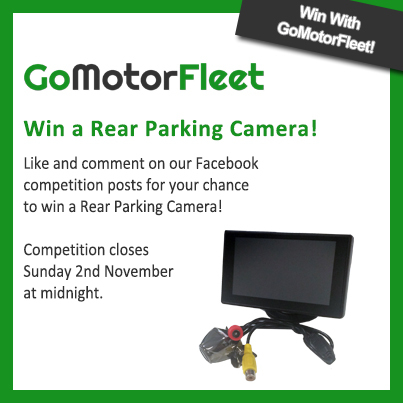 By Liking and Commenting on our Facebook competition posts you will be in with a chance of winning both a rear-side parking camera and a high resolution monitor which you can use to guide you while you park! You better enter soon though as our competition ends Sunday 2nd November at midnight. Good luck everyone!